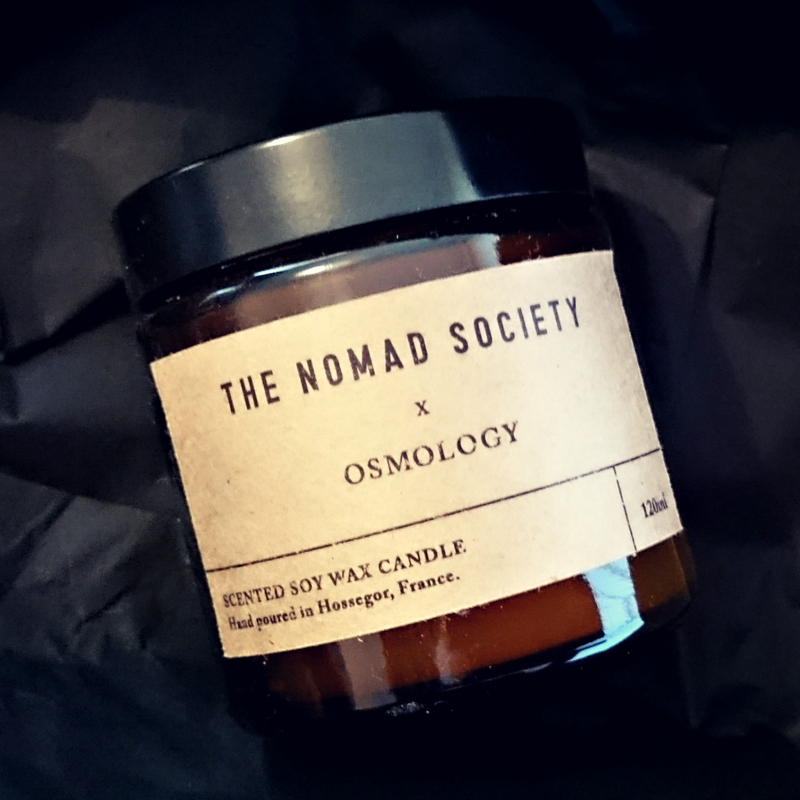 The Nomad Society have created an exclusive candle for our new favourite candle boutique, Osmology.co and I was lucky to be sent one to review. The candle’s scent is described as leafy ferns and fresh wet moss – a wilderness walk through the British Springtime. I was sort of craving some green and earthy type scents in our home for Spring, and this aroma was exactly what I needed. It’s a really earthy, dewy type scent but I find it has some masculine notes in it too, like subtle hints of spice. The Nomad Society hand pour their soy candles in the French surfing town of Hossegor. Their collection of home fragrances act as talismans taking you to days spent in the water and nights under the stars. 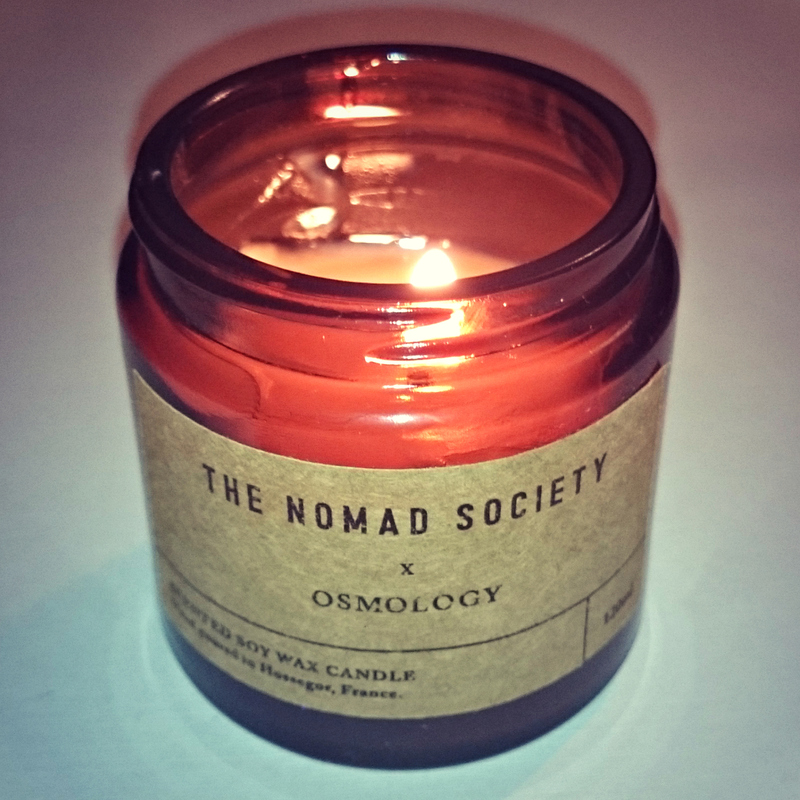 Their collection of candles encapsulates The Nomad Society’s love of travel and daydreaming. Created in small batches using only the finest quality 100% natural soy wax infused with a blend of essential oils with unbleached cotton wicks, and all of their candles are phthalate free. The candle is 120ml, it’s small but mighty. I had it burning on my desk whilst I attempted to tackle mountains of work and it really energised and perked me up. My other half commented on it too, which is always a sign of a good scent throw in my opinion. On Osmology.co it says this candle will burn for about 20 hours but I’m only about halfway through my candle and I’ve easily had it burning for about 15 hours, which is quite impressive. You’ll always get the most out of your candles when you keep the wicks trimmed. Stay tuned for more reviews from us and be sure to show Osmology.co some love on Facebook, Twitter, Pinterest and on Instagram. Glad you liked it. We love hearing what people really think. Feedback helps us improve and motivates us to provide a better service and product. As a tester of many candles it’s lovely to hear that you like them.